Paul is a left back who joined Lok in the summer of 2017 from Hurlford United. He began his career with Airdrie United, then had a few seasons at Cowdenbeath before beginning his Junior journey with stops at Livingston United, Glenafton Athletic and Bathgate Thistle encountered en route to Hurlford. 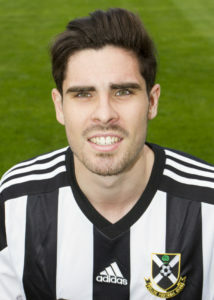 After just one season at Newlandsfield, he left in June 2018.